All LOST ACRES homes currently listed for sale in Salt Lake City as of 04/21/2019 are shown below. You can change the search criteria at any time by pressing the 'Change Search' button below. "This is a rare opportunity to own a little piece of wilderness heaven in Lambs Canyon, only minutes from Salt Lake and Park City. The well-planned cabin layout offers 7 bedrooms and an open floor plan for the kitchen, dining and family room with large picture windows, a wood-burning stone fireplace with insert, vaulted ceiling and ceiling fans. Other interior features include a nice log railing, newer kitchen cabinets and floor coverings, fresh paint and updated plumbing lines. The bathroom features a sink, full size tub, and is vented for an incinerator toilet. Most of the furniture is included. There is 1,600 sq. 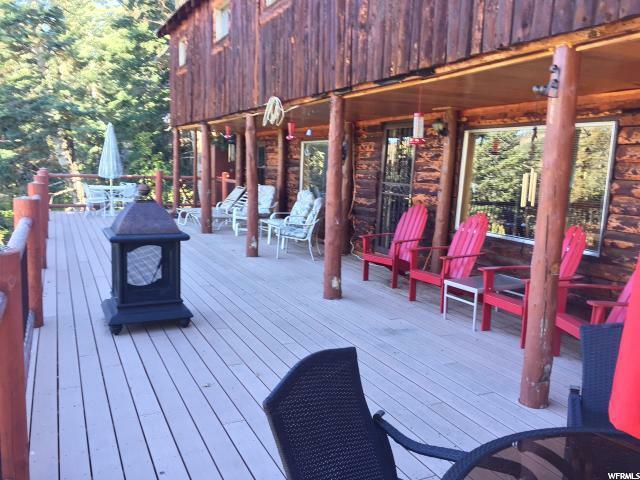 ft. of living space on the inside and a large Trex type deck approximately 1,300 sq. ft. on the outside for large gatherings with family and friends. The partially covered north facing deck offers shade on warm summer days and is usually 10 degrees cooler than Salt Lake City. The deck is fully enclosed with railings and gates. The one acre plus property offers a wooded lot including pines, aspen, maple, etc., level parking area, a secure private locked driveway, quiet seclusion, beautiful mountain views, wildlife and hosts of hummingbirds. Outbuildings include a well-stocked woodshed, workshop and outhouse. There is also a carport for the included 1977 Chevy 4X4 pickup which has a 220-gallon tank for hauling fresh spring water to the cabin's water cistern. Water is then gravity fed to the cabin. Though this is a seasonal cabin, it can also be accessed in winter with snow machines. Utilities include year round electrical power, seasonal water access (1 water share), no gas connection, no sewer connection. The outhouse has a concrete holding tank. Excellent cell phone connection with Verizon. "